Periodontal disease is initiated by microorganisms in dental plaque, and host immunoinflammatory response to the microbial challenge helps in disease progression. Conventional periodontal therapy was mainly targeted on the elimination of microbial component. However, a better understanding of molecular aspects in host response will enable the clinicians to formulate effective host modulation therapy (HMT) for the periodontal management. Inflammatory mediators were the main targets for HMT in the past. Transcription factors can regulate the production of multiple mediators simultaneously, and inhibition of these factors will be more beneficial than blocking individual molecule. Two important transcription factors implicated in chronic inflammatory diseases are nuclear factor kappa B (NF-κB) and signal transducers and activators of transcription 3. The role of these factors in periodontal disease is a less explored area. This comprehensive review is aimed at unveiling the critical role of NF-κB and signal transducers and activators of transcription 3 in periodontal pathogenesis. An online search was performed using MEDLINE/PubMed database. All publications till 2016 related to NF-κB, signal transducer and activator of transcription 3 (STAT3), and inflammation were included in writing this review. A total of 27,390 references were published based on the search terms used. Out of these, 507 were related to the periodontal research published in English till 2016. Relevant papers were chosen after carefully reading the abstract. 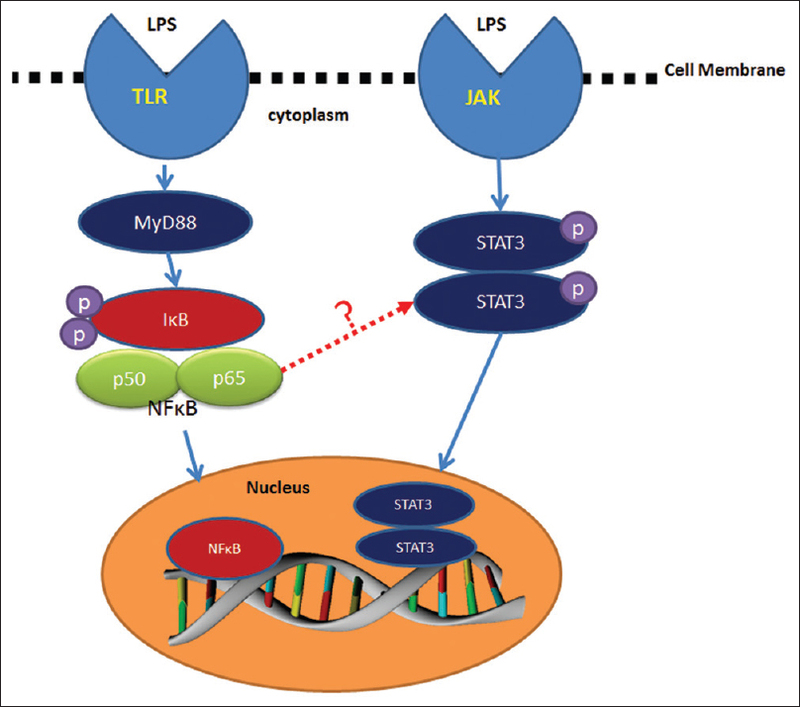 This review has attempted to comprehend the existing knowledge regarding the role of transcription factors NF-κB and STAT3 in periodontal disease. Moreover, it also provides a connecting molecular link for the periodontal medicine concept. Background: Coliforms colonize in dental plaques via oral route and may lead to systemic complications. Escherichia coli and its lipopolysaccharide-induced periodontitis is an emerging threat. Clinical management necessitates antibiotic regimens with risk of resistance and upsetting the gut. There is urgent need for better, sustainable, and economical alternative. Aim: To investigate the inhibition of coliforms, a potential periodontopathogen directly by Indian domestic curd (IDC) “in situ". 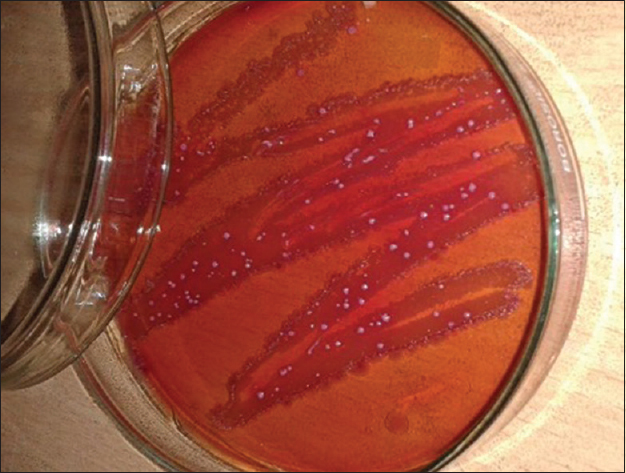 Materials and Methods: Coliforms from natural habitat (Municipal sewage in Agartala, Tripura), a source of infection through food and water, were used as target organism. Domestically prepared curd without any fortification is used to explore its true inhibition potential. Assays of agar well diffusion performed with IDC (ultraviolet sterilized and pH adjusted 6.5) against isolated pure cultures of coliforms. The study protocol nullified effect of organic acids, volatile compounds, bacteriophages, and peroxides in IDC. Peptide nature of inhibitory ingredient was studied by Sodium Dodecyle Sulphate Polyacrylamide Gel Electrophoresis (SDS-PAGE), urea treatment. Computational phylogenetics revealed structural features of inhibitory ingredient. Statistical comparisons were done by analysis of variance. Second-order polynomial regression was done to evaluate the effect of IDC dilution on coliform inhibition. Mann–Whitney U-test performed to analyze different sample treatments. Results: Agar well diffusion (sealed bottom wells) shows inhibition of catalase-negative coliforms (confirmed by Gram staining and triple sugar iron agar assay) in pure culture (MacConkey agar). Activity diminished in urea, potentiated in ethylene diamine tetra acetic acid, remains unchanged by heat treatment (121°C, 15 min). SDS-PAGE revealed three distinct peptides (>10–15KDa). Hence, thermostable inhibitory peptides attached to target cell lead to observed activity (titer up to 1204.82 AU/ml with minimum 8 mm inhibition). Conclusions: IDC adequately inhibits sewage coliforms and may prevent dental plaques coliform colonization and its associated risks. Introduction: Mini-clinical examination (mini-CEX) is a new assessment tool that observes the student using a standard rating form. The aim of this study was to evaluate the feasibility and usefulness of the mini-CEX as an assessment and feedback tool in the postgraduate setting in periodontology. Materials and Methods: Eight postgraduate students and two evaluators were included in this study carried out for 4 months during which the students were made to appear for four encounters evaluated on a standardized nine-point Likert scale. Feedback was obtained from the students about this assessment after the fourth encounter. Results: Sixty-three percent of the students felt that mini-CEX is better than the conventional assessment tools. Seventy-five percent of the students felt that this type of mini-CEX assessment helped improve the student–teacher relationship and student–patient relationship. Sixty-three percent of the students were satisfied with this assessment pattern and were willing to face more encounters as it helped them improve their competencies. Seventy-five percent of the students agreed that they felt anxious on being observed while taking cases. 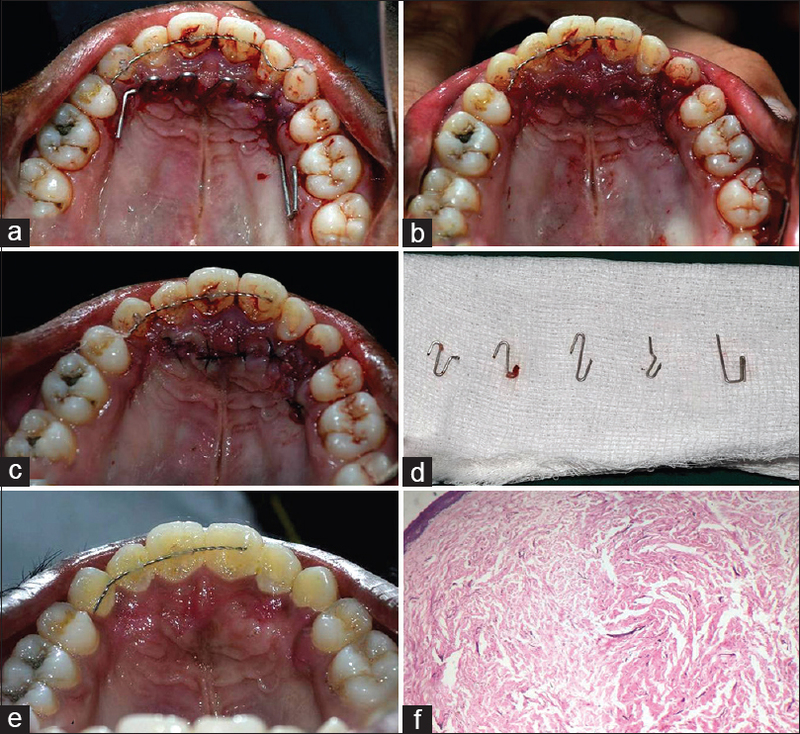 Conclusion: The training and assessment of a wide range of procedures make dentistry unique. Good communication skills and counseling can allay patient's fear and anxiety. This structured way of assessment of clinical skills and feedback provides good clinical care and helps improve the quality of the resulting information which would induce confidence, improve clinical competencies, and alleviate the fear of examination among the students. Background: Periodontal disease is not a conventional bacterial infection but is an inflammatory disease initiated by immune response against a group of microorganisms in susceptible hosts. There are many intriguing researches that unfold the secrets of chronic periodontitis. The current researches in chronic periodontitis are directed toward an approach that respects the scientific relationship between the various risk factors, the genetic factors, and the progression of the disease. Aim: This study aims to evaluate the cortisol and reactive oxygen metabolites (ROM) concentration in serum and to find out their association in periodontal health and disease. Materials and Methods: In this study, totally thirty patients have been taken and divided into two groups of chronic periodontitis (Group I) and stress-induced chronic periodontitis (Group II) and evaluated the correlation between the ROM and cortisol levels in them. 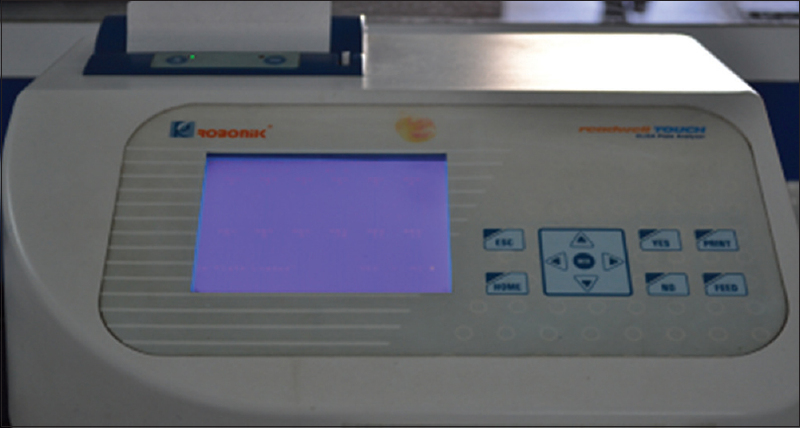 This is the first study, where both the levels of ROM and cortisol are checked in the serum and saliva. The analysis is done to check the association between them. Statistical Analysis: The data were statistically analyzed using software program (SPSSV 16), Pearson correlation, and paired t-test. Results: Comparison of the mean ROM levels in Group I and Group II showed that mean ROM level in Group II is highly significant than Group I. Conclusion: Our study suggests that stress can have a role in the progression of periodontal disease by increasing the cortisol and ROM levels. Background: Higher levels of receptor activator of nuclear factor kappa-β ligand, i.e., RANKL, were reported among periodontitis patients compared with their healthy peers. This study aimed to measure the salivary level of RANKL among waterpipe smokers and to find the possible correlation between salivary level of RANKL and clinical periodontal parameters. Materials and Methods: This study is a cross-sectional study involving 89 (49 waterpipe smokers and 40 nonsmokers) participants. The whole unstimulated saliva samples were collected for quantitative determination of RNAKL using a human RANKL enzyme-linked immunosorbent assay kit. Plaque index, gingival index, bleeding on probing, periodontal pocket depth (PPD), and clinical attachment level (CAL) were recorded for each participant. Mann–Whitney U-test was used to detect any difference between groups at P < 0.05. Spearman correlation coefficient test was used to test the association between variables. Linear regression was used to investigate the cause-and-effect relationship between the associated variables. Results: In a comparison, RANKL, PPD, and CAL showed statistical differences (P < 0.05) between waterpipe smokers and nonsmokers. RANKL was found to be positively associated with CAL, and approximately 62.8% of CAL in this study sample could be explained by RANKL. The regression equation was CAL = 1.744 + 0.004 (RANKL). Conclusions: The salivary level of RANKL was positively related to CAL in this study sample. Background: Human papilloma viruses (HPVs) are small DNA viruses that have been identified in periodontal pocket as well as gingival sulcus. High risk HPVs are also associated with a subset of head and neck carcinomas. It is thought that the periodontium could be a reservoir for HPV. Aims: 1. Detection of Human Papilloma virus (HPV) in periodontal pocket as well as gingival of patients having localized chronic periodontitis and gingival sulcus of periodontally healthy subjects. 2. Quantitative estimation of E6 and E7 mRNA in subjects showing presence of HPV3. To assess whether periodontal pocket is a reservoir for HPV. Settings and Design: This case-control study included 30 subjects with localized chronic Periodontitis (cases) and 30 periodontally healthy subjects (controls). Two samples were taken from cases, one from periodontal pocket and one from gingival sulcus and one sample was taken from controls. Methods and Materials: Samples were collected in the form of pocket scrapings and gingival sulcus scrapings from cases and controls respectively. These samples were sent in storage media for identification and estimation of E6/E7 mRNA of HPV using in situ hybridization and flow cytometry. Statistical analysis: Statistical analysis was done by using, mean, percentage and Chi Square test. A statistical package SPSS version 13.0 was used to analyze the data. P value <0.05 was considered as statistically significant. Results: pocket samples as well as sulcus samples for both cases and controls were found to contain HPV E6/E7 mRNAInterpretation and Conclusion: Presence of HPV E6/E7 mRNA in periodontium supports the hypothesis that periodontal tissues serve as a reservoir for latent HPV and there may be a synergy between oral cancer, periodontitis and HPV. However prospective studies are required to further explore this link. Context: Host modulation with omega-3 polyunsaturated fatty acids (ω-3 PUFAs) has anti-inflammatory and pro-resolution actions through replacing and inhibiting metabolism of arachidonic acid (AA). 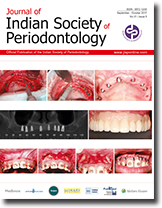 Aim: This study was aimed at evaluating clinical parameters and salivary levels of interleukin-1 beta (IL-1β) after scaling and root planing (SRP) in chronic periodontitis patients, with and without dietary supplementation of ω-3 PUFAs. Settings and Design: Forty otherwise healthy participants with severe chronic periodontitis were included. Full-mouth periodontal examination and scaling and root planing were done for test and control group (20 participants each). Materials and Methods: The control group received SRP alone while test group received daily dose of 700 mg ω-3 PUFA capsules for 3 months. 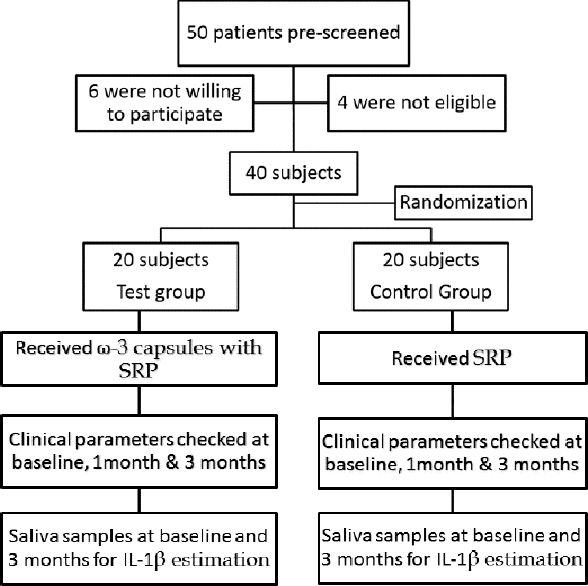 All clinical parameters were checked at baseline, 1 month, and 3 months' duration, whereas levels of IL-1β were checked in saliva at baseline and 3 months after therapy. Statistical Analysis Used: T-test and repeated measure analysis of variance were used with Statistical Package for the Social Science Windows software. Results: Improvements in all clinical outcomes were similar in both groups over 3 months. Improvements in clinical parameters were not statistically significant on intergroup comparison, except for improvement in Bleeding Index and reduction in levels of IL-1β, which were statistically significant in test group as compared to control group (P < 0.05). Conclusion: Even though adjunct therapy with ω-3 PUFAs can modulate cytokine levels and show proresolution properties, its importance on clinical outcomes may be controversial. Thus, this may be used as an adjunctive management of chronic periodontitis. Context: Dentinal hypersensitivity (DH) is a chronic disorder in which patients report sharp and acute pain to a variety of stimuli. Till date, a standardized procedure to treat DH is missing, though several alternative treatment strategies have been designed, including laser therapies. Aim: The aim of the study was to treat DH with minimum chemical concentration and least laser energy level with longer follow-up period. Materials and Methods: One hundred and twenty patients were randomly divided into four groups: (i) Group 1-5% potassium nitrate (KNO3); (ii) Group 2 - gallium-aluminum-arsenide diode laser (62.2 J/cm2, wavelength - 980 nm, noncontact pulse mode, and power wattage - 0.5 W); (iii) Group 3 - combined 5% KNO3and the diode laser; and (iv) Group 4 - placebo (control). The visual analog scale (VAS) scores were recorded, analyzed, and compared to tactile stimuli, cold water, and air blast tests at different intervals for 6 weeks. 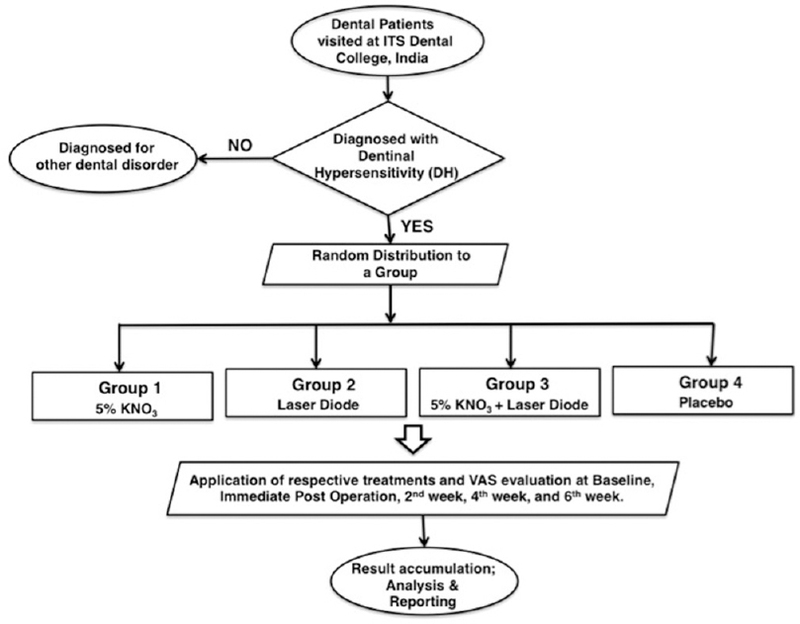 Results: Synergistic use of 5% KNO3and diode laser (Group 3) significantly reduced the DH pain, which was almost negligible after 6th week (97%–99% of the pain was reported to be relieved) and showed promising results than any other studied groups. Further, the diode laser (Group 2) showed better results than 5% KNO3 (Group 1). One-way ANOVA and Bonferroni correction post hoc test revealed the combination of groups with significant differences in the mean VAS scores at the different interval of time (P < 0.01). Conclusions: Convincingly, the combined application of 5% KNO3with the diode laser can be recommended for treating DH patients. Background: Dentistry, dealing with teeth and supporting tissues in the oral cavity is not only an ever-evolving science but also an art combined with good eye-hand coordination. It not only encompasses clinical and theoretical skills which play a crucial role in the success of therapy but also a lot of intrinsic work is accomplished in dentistry. In a journey to fulfill the above accomplishments and for facilitating early diagnosis of pathologies which usually go unnoticed, a clearer and magnified field of vision are also essential. The purpose of this study is to evaluate the awareness, attitude, and prevalence of the usage of magnification devices among the dental practitioners in the state of Andhra Pradesh. Materials and Methods: A questionnaire-based study was conducted to assess the awareness, attitude, and prevalence of magnification devices among the 370 dental practitioners in Andhra Pradesh. All the participants were provided with a prestructured questionnaire comprising of 24 questions and answering was completely self-based. Results: Among the participants, majority were aware about magnification in dentistry (91.1%), and also of the different types of magnification devices available (90.5%). On the other hand, when the reason for not using magnification devices was taken into consideration, 32.7% attributed that they have not experienced the devices and 32.4% felt that devices were too expensive. Moreover, when regarding the usage of devices was taken into account, only 23.8% of the total participants were exposed to the usage of magnification aids. Conclusion: Among the selected group of participants, even though majority were aware of magnification in dentistry its application in practice was very less. Background: The consequences of periodontal disease are not limited to the oral cavity. As schools are considered to be one of the principal systems in preventive oral health, teachers' knowledge pertaining to the periodontal disease, their awareness with regard to its implications and their role in increasing the awareness of the students regarding this disease comprises only one aspect with respect to the prevention of the periodontal disease. Therefore, the aim of this study is to investigate the baseline awareness and knowledge of Saudi primary school teachers regarding the periodontal disease. Materials and Methods: For this purpose, a questionnaire was distributed among the participants of the study. Results: It was observed that 91.4% of the participants reported that the periodontal disease does not need any treatment although 70% of the participants believed that it could result in tooth loss, and 95% considered the periodontal disease to be a preventable disease. 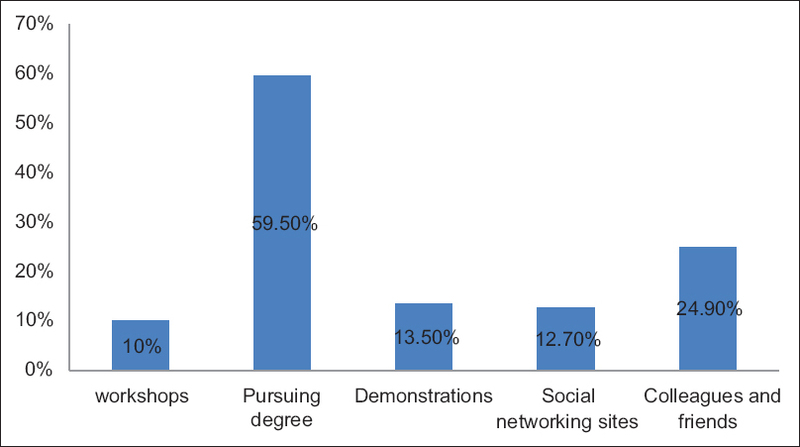 Moreover, social media (44%) and television advertisements (39%) were the main sources from where they acquired information about the periodontal disease. Conclusions: Most participants have heard about the importance of periodontal health but are not sufficiently aware of its consequences and negative effects on their body. They are used to receiving information about periodontal diseases from nondental clinics and unreliable sources. This creates misconceptions. Although the participants were keen to attend educational events on periodontal health, the lack of medical communication between the health practitioners and the general public is evident. Mostly, investigated areas and individuals do not have any educational means to be aware of periodontal health. Gingival enlargement is a very common side effect associated with the administration of several drugs, mainly anticonvulsants, calcium channel blockers (CCBs), and immunosuppressants. Amlodipine (a CCB) is a safe antihypertensive drug with a longer duration of action. Gingival enlargement induced by amlodipine is less prevalent among CCBs. Since the pathogenesis is not well understood, it is still a challenge for clinicians to diagnose and manage cases effectively. 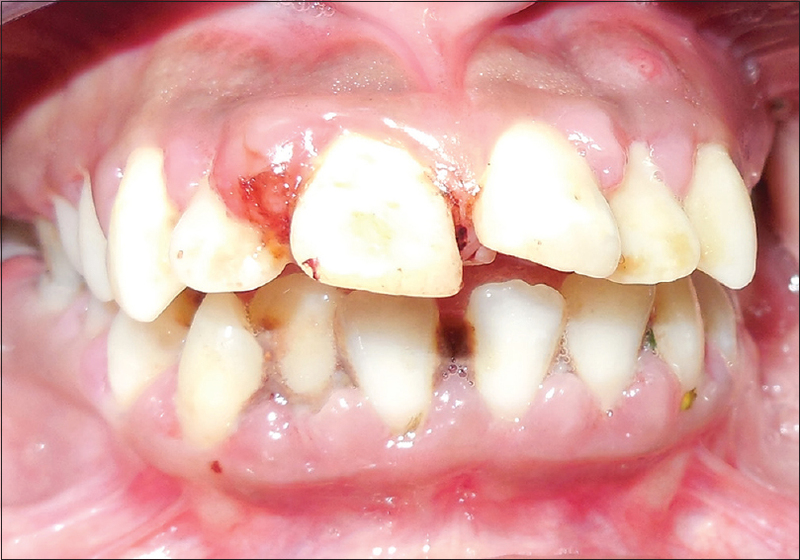 This case presents an atypical unilateral palatal gingival enlargement in a 61-year-old hypertensive female taking amlodipine. Difficulty for a pathologist in diagnosing in spite of repeated sample submission from the lesion and repeated failure for the operator to reach the underlying pathology due to amlodipine-induced hyperplasia have also been discussed in this case report. Generalized aggressive periodontitis (GAP) is a rare form of periodontitis resulting in early loss of teeth. Most of the clinical evidence available in literature focuses on the diagnosis and management aspects of GAP. Systemic manifestations of GAP have been reported infrequently. To the best of our knowledge, the present case report is the first-ever evidence providing a possible mechanism and link between GAP, dimorphic anemia, and mental depression suggesting that dimorphic anemia and mental depression are probable systemic manifestations of GAP. A young female reported with her father to the hospital with a complaint of pain in her oral cavity and lack of desire to eat. On thorough examination, GAP with dimorphic anemia and mental depression were diagnosed. Periodontal treatment along with nutritional supplements was prescribed. An improvement was noticed in the patient's condition after a follow-up period of 6 months. Systemic manifestations of GAP should include the diagnoses of dimorphic anemia and mental depression and should be treated accordingly. In recent years, there have been a growing number of procedures involving dental implants. Most cases, though, are characterized by bone atrophy, especially horizontal atrophy. 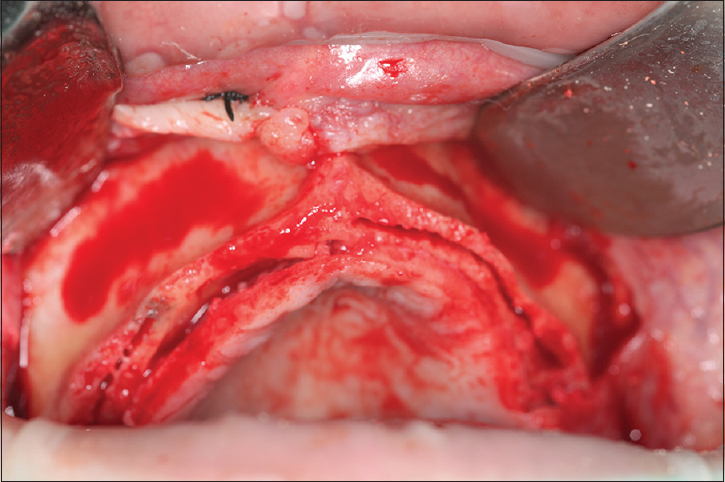 This clinical case aims to report a technique for the expansion of the horizontal alveolar ridge. A longitudinal fracture was created in the alveolar ridge to expand the bone, followed by immediate insertion of dental implants along with a particulate allogeneic bone graft. Eight implants were placed in the maxilla, and after 12 months, a surgical reopening was performed, along with rehabilitation with a protocol-type prosthesis, for which a zirconia infrastructure was made. The patient was observed during a 10-month follow-up period in which an effective osseointegration of all implants was achieved as a result of such a technique. The split-crest technique followed by the immediate placement of implants and a particulate allogeneic bone graft proved to be effective, with a predictable osseointegration. Periodontally accelerated osteogenic orthodontic procedure has become useful adjunct to reduce orthodontic treatment time as compared with conventional orthodontics. This case demonstrates the use of Piezosurgery® to facilitate rapid tooth movement with relatively shorter treatment time. 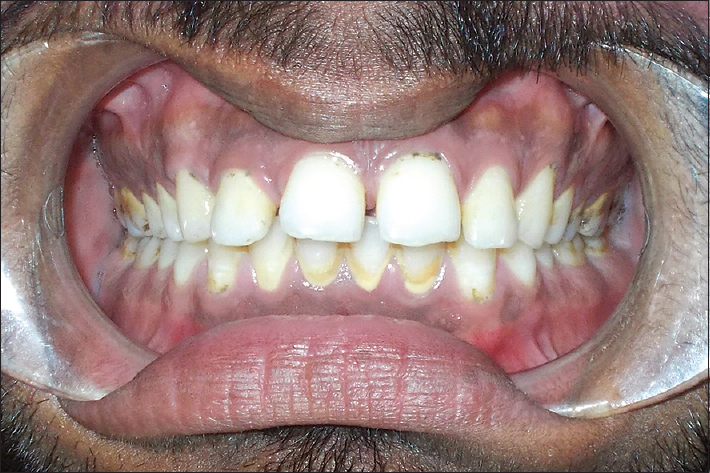 A 23-year-old male with Angles Class I malocclusion having spaced anterior teeth and protrusion requested orthodontic treatment with reduced time period. Before surgery, presurgical orthodontic treatment was done to do initial alignment of the teeth. This was followed by piezosurgical corticotomy and final space closure was achieved by active orthodontic tooth movement. The total treatment time required to complete the orthodontic treatment was 5 months. 1-year follow-up revealed no evidence of any adverse periodontal effects or relapse. Thus, Piezosurgery®-assisted corticotomy may prove to be a noble and effective treatment approach to decrease the orthodontic treatment time. Iatrogenic trauma though not serious is very common in dental practice. Orthodontic treatment can inflict such injuries as they are prolonged over a long period of time. Ill-fabricated orthodontic appliances, such as wires and brackets, or the patients' habits such as application of constant pressure over the appliance can traumatize the adjacent oral soft tissues. In rare cases, these appliances can get embedded into the mucosa and gingival tissues. 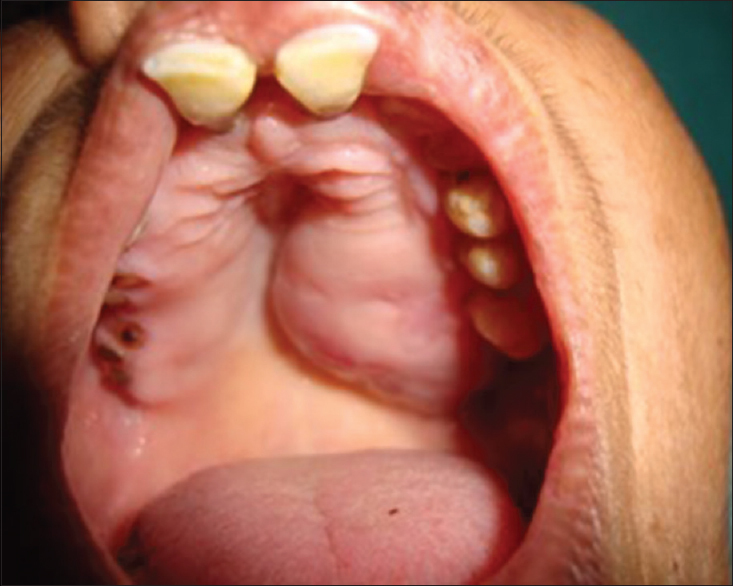 This case report describes one such case of iatrogenic trauma to the palatal mucosa due to entrapment of a tongue spike appliance and its surgical management.